The nation’s food industry is diverse and complex - but also at risk. Business owners, senior management, and operators are faced with the daunting task of managing FSMA regulations alongside the reality of day-to-day operations. In this training webinar, food defense expert Rod Wheeler discusses the complex mix of threats, risks, and vulnerabilities that food companies face today along with 5 ways industry leaders are helping to better protect their people, assets, and brands. Rod provides insight from his experience conducting mitigation security assessments, product tampering investigations, and workplace violence-related investigations for both large and small companies. 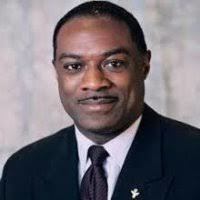 Rod Wheeler is the Founder and CEO of The Global Food Defense Institute, the only global firm that focuses solely on Food Defense, Intentional Adulteration, education, tampering investigations and intelligence. Rod has also served as a Crime Analyst for the Fox News Channel, and a regular guest on several national and international news outlets providing analysis and commenting on cases of International Security, Terrorism and Crime. The Global Food Defense Institute has conducted dozens of focused and broad mitigation security assessments, written numerous facility security plans and have conducted several product tampering and workplace violence related investigations for various companies large and small.